The list of forgettable names is long, corny and meaningless — except maybe in terms of learning from the fallen. Blish, Colib, Diigo, Eskobo, Gliffy, Gootodo, Goowy, Meebo, Noodly, Otavo, Oyogi, Qoop, Renkoo, Skobee, Tioti, Trumba, Woomp, Wrickr, Zlango and Zoozio are but a few. This bizarre avalanche of bad names comes from a single source: the elusive URL. With all the games people play with Internet company names, it’s quite possible that someday no one will be able to spell anything correctly ever again. Perhaps it’s already happening. Ever wonder how many times gross misspellings like “Del.icio.us” or “Flickr” show up on eighth-grade spelling tests? Besides wreaking havoc on this country’s educational efforts, is there a reason for all these ridiculous names and spellings? “Nothing betrays faster the message of ‘we’re different and unique’ than having a name that is overtly similar to competitor names and already successful companies,” says Jurisich. The list of forgettable names is long, corny, and meaningless — except maybe in terms of learning from the fallen. Blish, Colib, Diigo, Eskobo, Gliffy, Gootodo, Goowy, Meebo, Noodly, Otavo, Oyogi, Qoop, Renkoo, Skobee, Tioti, Trumba, Woomp, Wrickr, Zlango and Zoozio are but a few. “How in hell are you supposed to remember, or even care in the first place, what Eskobo does, what makes Renkoo special, and what differentiates Otavo from Oyogi from Qoop?” asks an exasperated Jurisich. “Companies tend to prefer less appealing, less effective names in order to get a freestanding URL. They often will abandon a great name if they can’t have a matching URL. This is a huge mistake,” S.B. 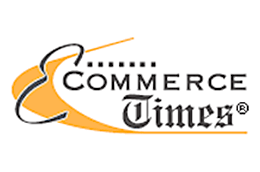 Master, founder and president of the naming firm Master-McNeil, told the E-Commerce Times. To replicate Google’s success, at least three of those four things must be in place. In the case of naming a search engine, arriving early is clearly already off the table. “Too many Web 2.0 startups these days fail to grasp this, and saddle themselves with names that lack poetry, map to nothing on Earth, and have arrived late to the game and are blending in with the thousands of other Web 2.0 names battling upstream to the same spawning grounds,” adds Jurisich. “Create a strong brand around a powerful, meaningful, evocative name, and then use a second, modifying word that makes sense for the domain name and optimize the site well for the search engines,” advises Jurisich. What goes into naming a tech company or product, then, is pretty much the same as any company or product, “except that domain name considerations have the potential to derail the project and need to be carefully considered and reconsidered” says Jurisich.